Economists predicted another month of 200k+ job additions ahead of this morning’s jobs report but the latest data told a different story. 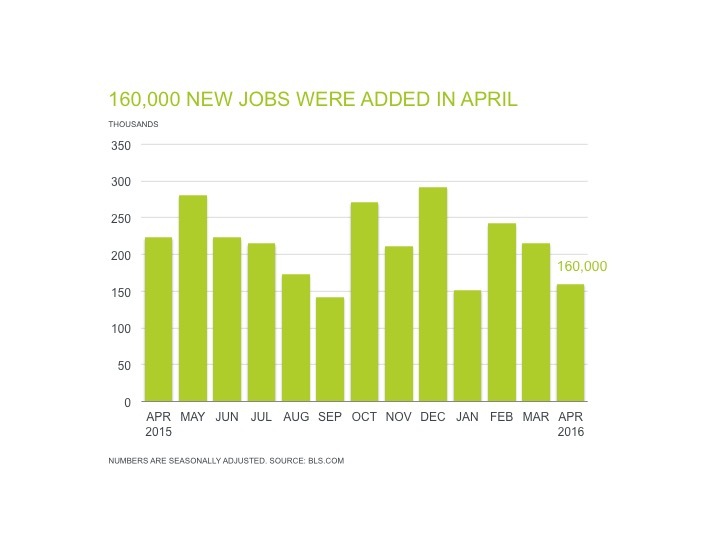 The Bureau of Labor Statistics announced 160,000 jobs were added in April and while this was below expectations, we still boast 65 straight months of positive job growth. Employment growth has averaged 232,000 per month. Economists, and of course the Federal Reserve, were also keeping a close eye on this month’s wage growth. Wage growth has been one of the last and slowest pieces to labor-market recovery and a rise in wages would give the Fed more confidence in their 2% inflation target. It also suggests that consumer spending will continue to drive economic growth. In April, hourly wages rose $0.8 to$25.53 per hour, bringing the year-over-year wage percentage increase to 2.5%. The unemployment rate now sits at 5.0%. The market remains extremely competitive for employers hoping to hire top HR, non-clinical healthcare and supply chain and logistics professionals. But there are some things you can do to establish your business in the marketplace as a great place to work. 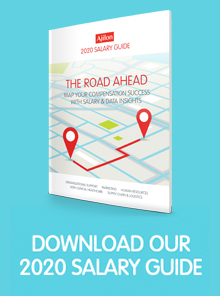 You might be surprised to hear that salary isn’t the only ammunition in the war for talent.